Supervision offers support with the accomplishment of occupational tasks, the reflection of professional action and the further development of the professional and psychosocial compe- tences. Qualitative elements, among others transparent handling of power and preservation of autonomy towards the professional environment of clients, are an inherent part of supervision. The objective of supervision is to accompany and optimise processes of learning, change and development for individuals, groups and teams. In the process it works at perception, reflection and action level. Supervision always includes the context of the organisation as a whole and the distinctions of the specific field the supervisees work in. The qualitative improvement of profes- sional work is one of the crucial objectives of supervision. It deals with personal and role-related aspects in the area of conflict between stability and change. Contract partners for supervision are individuals, groups and teams and their respective clients for supervision. The contract substantiates the period and objectives of the consultancy, the performance of the supervisor and that of the supervisees. All contractual parties involved, in particular employers of teams and inter-organisational groups and individuals must be included in the conclusion of the contract and the clarification of the respective contractual contents. Group supervision is a service offered to groups within and outside of organisations: Project and specialist groups, training and learning groups and groups of people in higher positions. Group supervision supports professional people with the conceptual design, development and implementation of projects in a specific field of work. It also aims at supporting trainees and/or young professionals with the personal and practical integration of know-how. Within organisa- tions group supervision accompanies projects or provides room for reflection and practice e.g. for people in higher positions. Team supervision is understood as team development and has the objective of renewing or deepening forms of co-operation or improving the job performance within a team, dealing with conflict situations, preparing teams for changes within the organisation and accompanying it in the implementation phase. For case supervision the focus is rather on a certain field of work and requires respective field knowledge and/or experience of the consultant. It can be carried out with individuals, groups or teams. Training and teaching supervision focuses on specific teaching or learning situations involved with the new job role or with the consulting format. It requires respective professional compe- tence of the consultant. It can be carried out with individuals or groups. 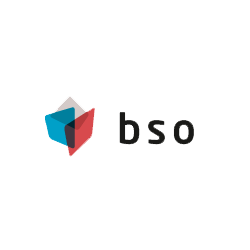 The bso aims to ally of supervisors, coaches, organizational consultants and trainers. … coordinates, endures, promotes and represents the professional and professional policy concerns of our members in national and international context. … tracks current developments in theory and practice and informes about it internally and in public when required. … promotes and protects the consulting quality of its members through appropriate measures. … establishes guidelines for ethical and professional issues and reflects its understanding of supervision, coaching and organization consulting.